What is an Economic Depression? An economic depression is an occurrence wherein an economy is in a state of financial turmoil, often the result of a period of negative activity based on the country’s Gross Domestic Product (GDP)Gross Domestic Product (GDP)Gross domestic product (GDP) is a standard measure of a country’s economic health and an indicator of its standard of living. Also, GDP can help compare the rate. It is a lot worse than a recession, with GDP falling significantly, and usually lasts for many years. In the US, the Great DepressionThe Great DepressionThe Great Depression was a worldwide economic depression that took place from the late 1920s to the early 1930s. For decades debates have been going on abou lasted for a decade, with the unemployment rate reaching 25% and wages falling by 42%. An economic depression is primarily caused by a worsening consumer confidence that leads to a decrease in demand, eventually resulting in companies going out of business. When consumers stop buying products and paying for services, companies will need to make budget cuts, employ fewer workers, and even lay off employees. But let us look more deeply into other factors that lead to economic depression. The stock marketStock MarketThe stock market refers to public markets that exist for issuing, buying and selling stocks that trade on a stock exchange or over-the-counter. Stocks, also known as equities, represent fractional ownership in a company is composed of stocks that investors own in any given company. Changes in shareholdings can be a reflection of how an economy is doing. When the stock market crashes, it can be an indication of investors’ declining confidence in the economy. A business flourishes on the demand for its products and services. When manufacturing orders reflect a decline, especially for an extended period of time, it can lead to a recession and worse, an economic depression. Price controls happened once during the term of former U.S. President Richard Nixon when prices kept going higher. Also, when wages are controlled by the government and companies are not allowed to lower them, businesses may be forced to lay off their employees to survive. DeflationDeflationDeflation is a decrease in the general price level of goods and services. Predominantly, deflation is negative inflation. When it occurs, the value of currency grows over time. Thus, more goods and services can be purchased for the same amount of currency. Deflation is widely regarded as an economic problem that can is basically the lowering of consumer prices over time. It may seem like a good thing because people can now afford to buy more commodities but underneath it is the fact that prices are lowered because of a decline in demand, too. When people wait for deflation to happen, an economic depression may be on its way. How oil price hikes can cause a ripple effect on almost everything in the market is common knowledge. When it happens, consumers lose their purchasing power, which can lead to a decline in demand, putting businesses out. When consumers are no longer confident in the economy, they will alter their spending habits and eventually reduce the demand for goods and services. A worsening unemployment rate is usually a common sign of an impending economic depression. Once the unemployment rate rises to 4%, it will already be more difficult to bring it down. With high jobless numbers, consumers will lose their purchasing power and eventually lower demand. Inflation can be a good sign that demand is higher due to wage growth and a sturdy workforce. However, too much inflation will discourage people from spending, and it can result in a lowered demand for products and services. In an ideal economic situation, consumer spending is usually high, including the sale of homes. But when there is an impending economic depression, the sale of homes goes down, signaling a falling confidence in the economy. When credit card usage is high, it is usually a sign that people are spending, which is good for the GDP. However, when debt defaults rise, it could mean that people are losing their ability to pay which signals an economic depression. There is always that constant fear of another ‘Great Depression’ happening, which is why economists suggest the following policies to keep it from happening. An expansionary monetary policyExpansionary Monetary PolicyAn expansionary monetary policy is a type of macroeconomic monetary policy that aims to increase the rate of monetary expansion to stimulate the growth of involves cutting interest rates to encourage investment and borrowing. When interest rates are lower, consumers will enjoy more value for their money and will be encouraged to spend more. An expansionary fiscal policy means increasing government spending, reducing taxes, or a combination of both. Tax reduction gives consumers disposable income which, in turn, encourages spending. Financial stability involves the government guaranteeing bank deposits, which promotes the credibility of banks. 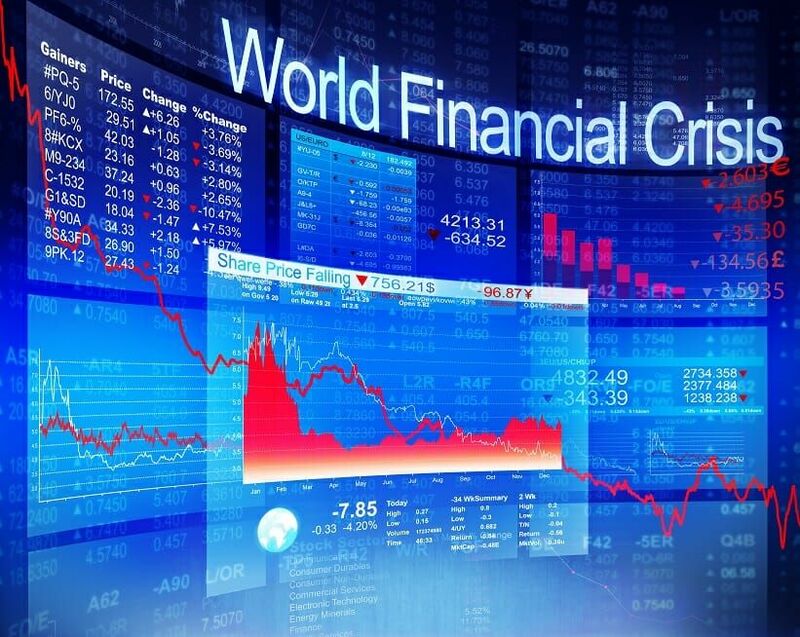 An economic depression is something that the world’s kept at bay for decades. However, there is always the chance for it to occur again if not all sectors of the economy work together to prevent it. Cyclical unemploymentCyclical UnemploymentCyclical unemployment entails layoffs, due to an economic recession or depression. Employees are able to reobtain their jobs once the economy expands again.